Coached wrestling at Wellsville for 34 years, from Youth Wrestling to Modified, J.V. and was the Varsity coach for 14 years. He was one of the original members of the Old Timers Wrestling Club (6 yrs.) where he only lost one match. In weight lifting from 1992-2002 he was the ADFPA NY Champion as well as the National Masters Bench Press Champion for seven years. After high school he was offered an athletic scholarship in football from Ithaca, basketball from U.B., and baseball from Syracuse. 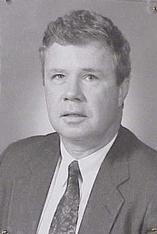 In 1964 he was chosen as the Olean Times Herald Scholastic Trackman of the Year. That same year he held the Section V Two Mile Record. Was a three sport star at Wellsville High School, excelling in football, basketball, and track. An outstanding athlete, he became a letter winner and state medalist in swimming at Syracuse. Coached at Wellsville High for 23 years in 11 different positions. A tremendous motivator that got the most out of the talent presented to him. At the Wellsville High School he coached 3 individual Section V Swimming champions and was a huge contributor to 3 Section V baseball champions. For five years he coached the Alfred University Women’s Swim Team to very successful seasons. He was recognized as one of the best golfers in Wellsville School history as a 4 year starter. In 1966 he won the Steuben County Championship and was the runner up by one stroke in 1967 after calling a 2 stroke penalty on himself for hitting the wrong ball. In football Dan was recognized as a punishing two way starter as an offensive and defensive lineman. In golf at Hobart College he was recognized as a leader of men being selected team captain his senior year. In high school he won 9 varsity letters in the sports of baseball, football, and basketball. In baseball he was recognized as an outstanding hitter while playing the tough catching position. At Arizona Junior College he was selected to the All Conference Team twice while having a career batting average of .400. He was the starting catcher for Grand Canyon College when the team made it to the NAIA College World Series. In the summer of 1968 he was selected MVP of the Alle-Catt Semi Pro Baseball League. He was Wellsville’s very first Big 30 All-Star in football in the Fall of 1968. Recognized by many as the finest golfer to ever play for the Wellsville Lions. In 1968 he was the New York State Junior Ameateur runner-up in golf. Played for Division I Syracuse University in golf in 1970 and 1971. Since college he has won an untouchable 13 club championships at the Wellsville Country Club.